(Newser) – The porcine epidemic diarrhea virus is becoming more of a, well, epidemic. Arizona has now become the 27th state to reveal that the disease has hits its hog farms (up from 22 states last month), and Virginia could soon be No. 28. 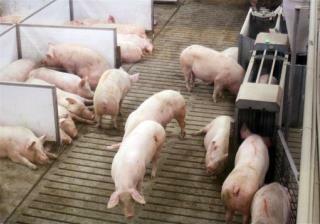 That state has already seen positive samples of the virus in the environment, just not yet among hogs, Reuters reports. While not dangerous to humans, 80% to 100% of piglets that get PEDv die, and that could mean bad news for bacon lovers. I'm hungry for some ham, anyone else? free food quick send them to the muslims!